Versand von Vinyl erfolgt in PE-Schutzhülle und neuen, speziellen Versandkartons. Versand von CD's, DVD's, VHS und Tapes erfolgt in neuen Luftpolsterumschlägen. 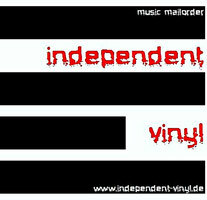 Vinyl will be shipped in PE protective shell and new, special shipping cartons. Shipping of CD's, DVD's, VHS and Tapes done in new jiffy bags. Please Note: Double-LP's count as 2 LP'S; 3 LP-Boxes count as 3 LP'S …. If you prefer REGISTERD SHIPPING, please add 2,50 EUR. If you want to order larger quantities, please send us a message and we will find the cheapest shipping costs.